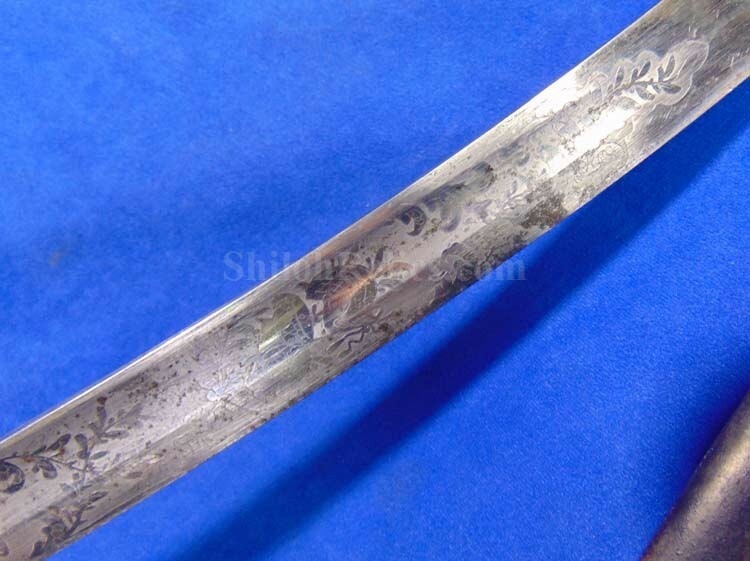 This is a neat sword with a beautiful blade! 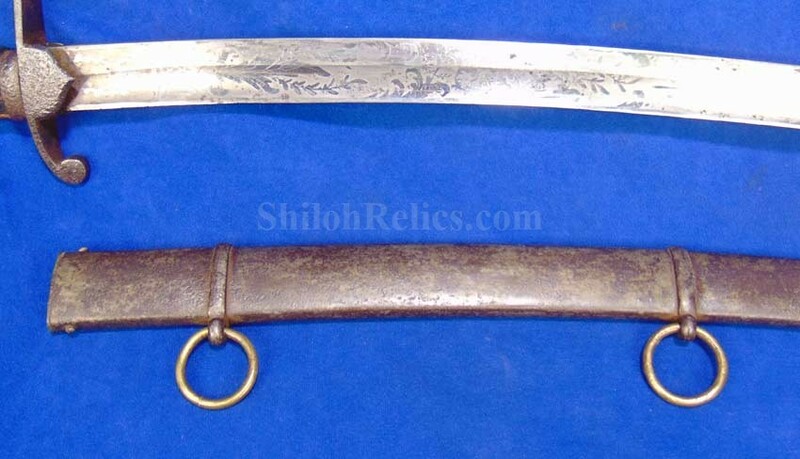 This is the sword that could have been used as a mounted militia cavalry or artillery saber either way. 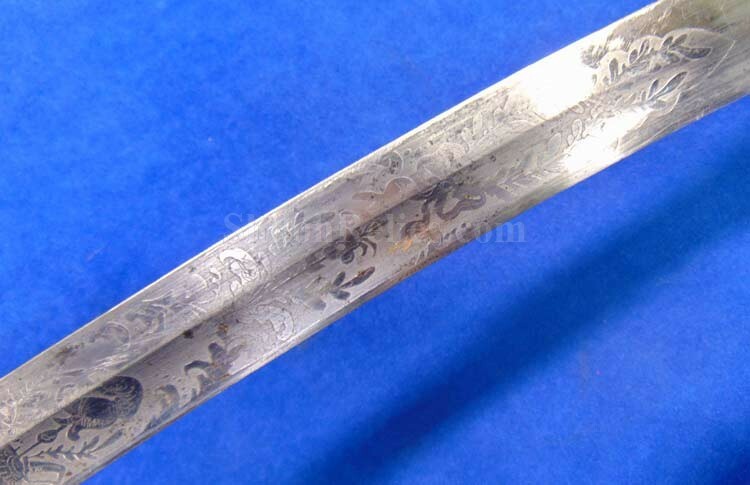 It has the beautiful full-length 29 inch blade. 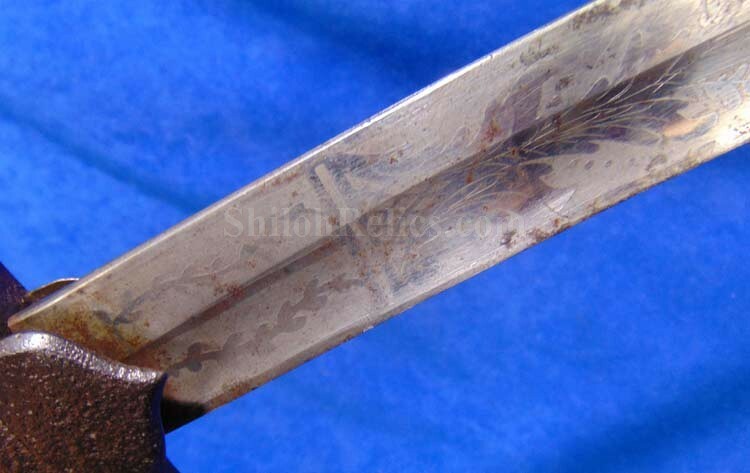 The front side of the blade has the floral and geometric designs. 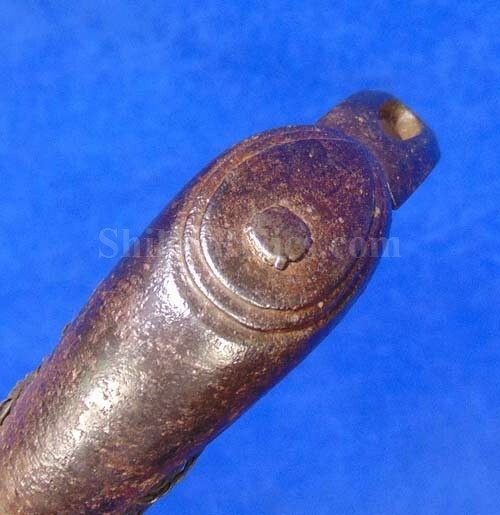 Towards the tip it has the panoply of arms that include a cannon barrel in the design. 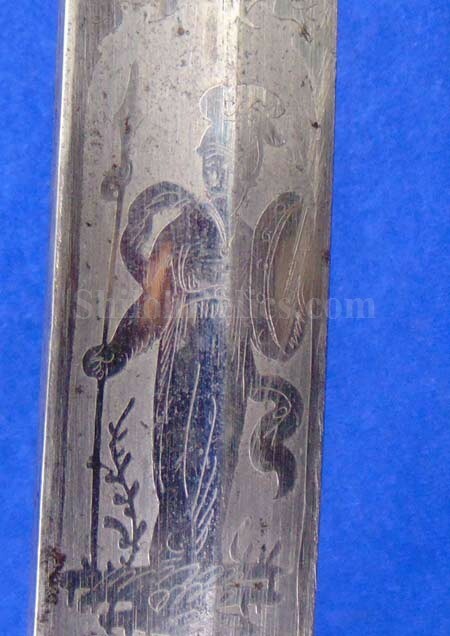 In the middle of that side of the blade it has the standing image of Lady Liberty. 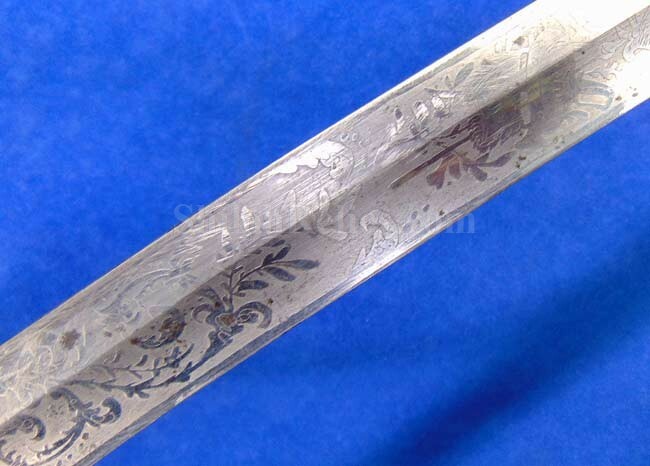 At the base of the blade it has the desirable retailer's marking of the famous New York City firm of Adam W. Spies. 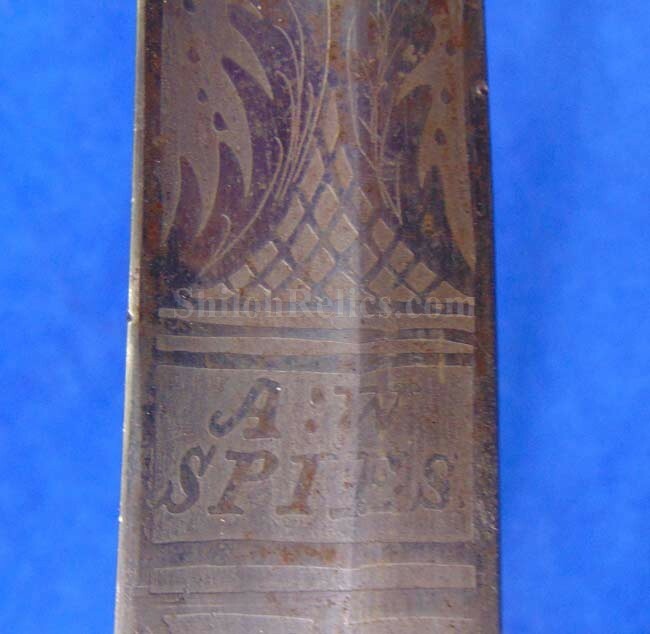 Spies was a high quality retailer that sold fine military items. 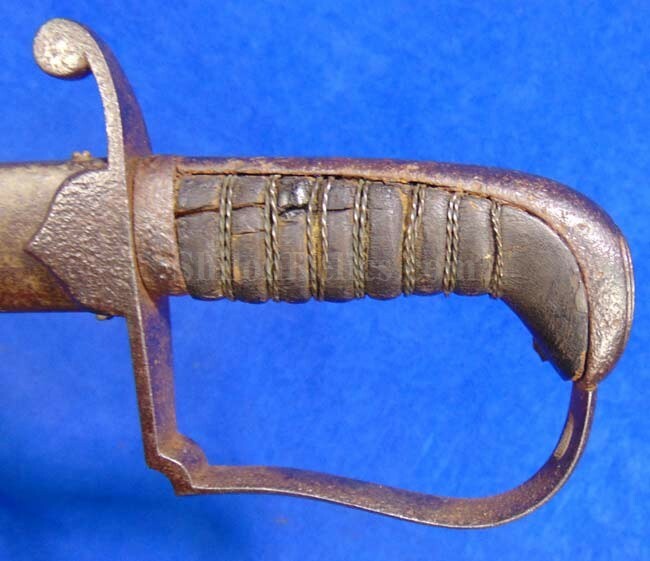 He started in the early 1800's and went out of business in 1865. 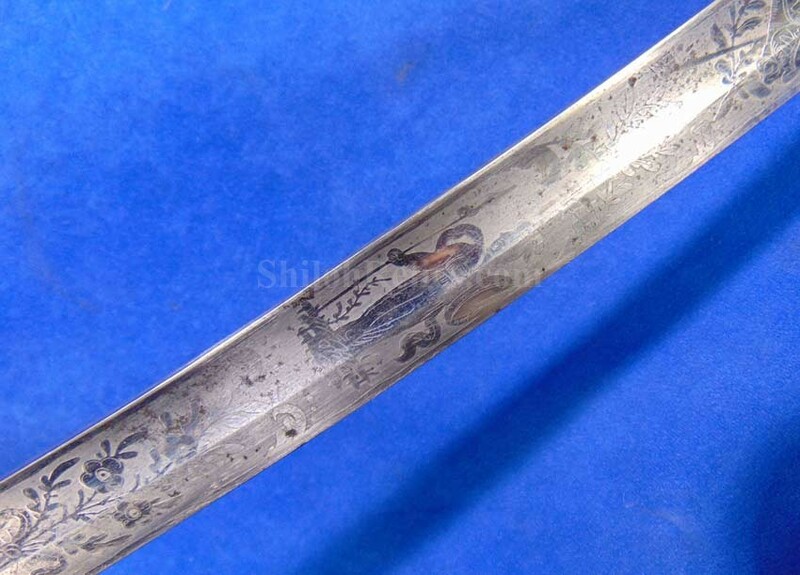 This sword would date from the 1840's or 1850's. 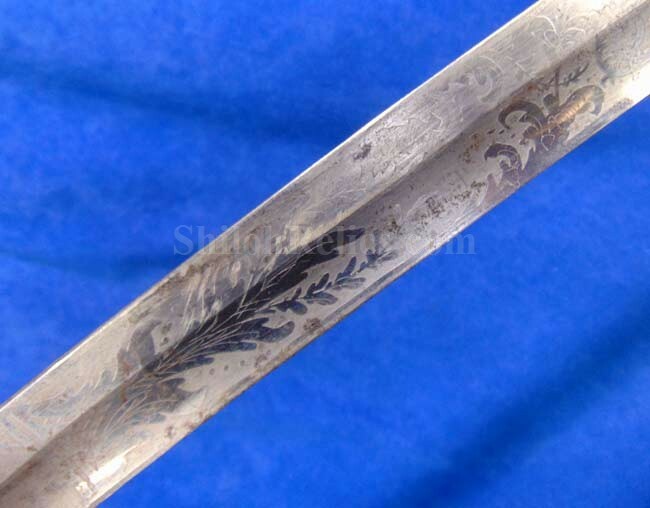 On the back side of the blade, it has the equally beautiful etching including the matching panoply of arms. 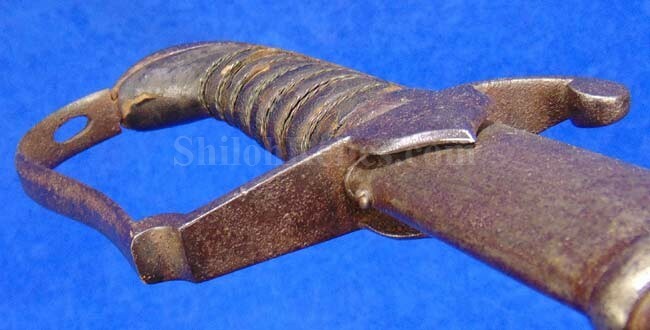 The hand guard has the single branch and is made of iron as is the backstrap. 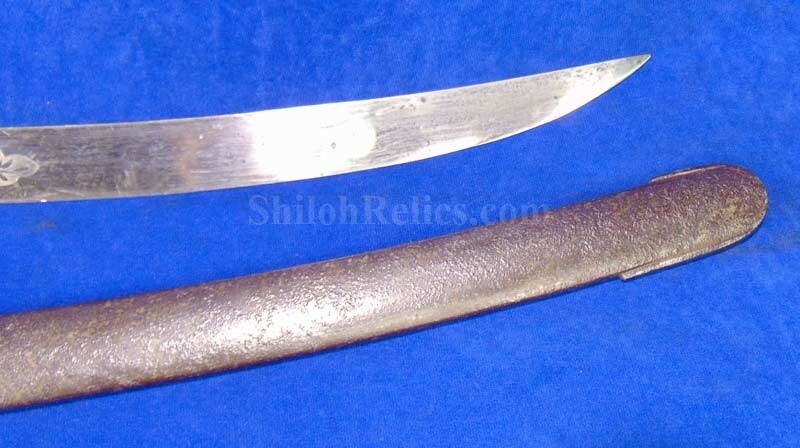 On the handle of the sword it still has the original wooden core that is covered with the remnants of the black leather wrap. 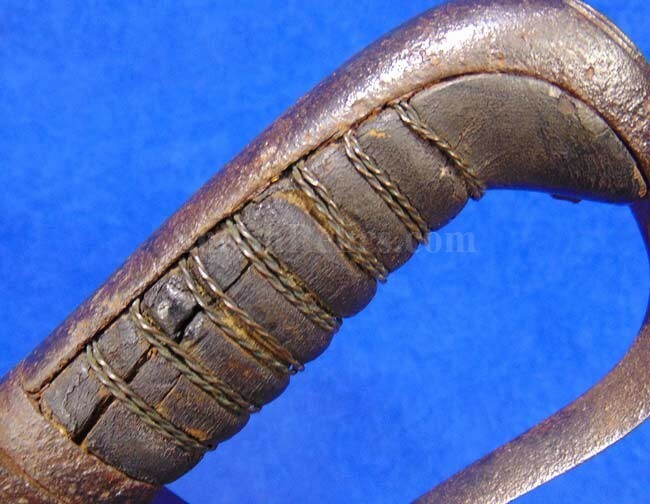 It is designed with the pair of double twist brass wire covering the leather. 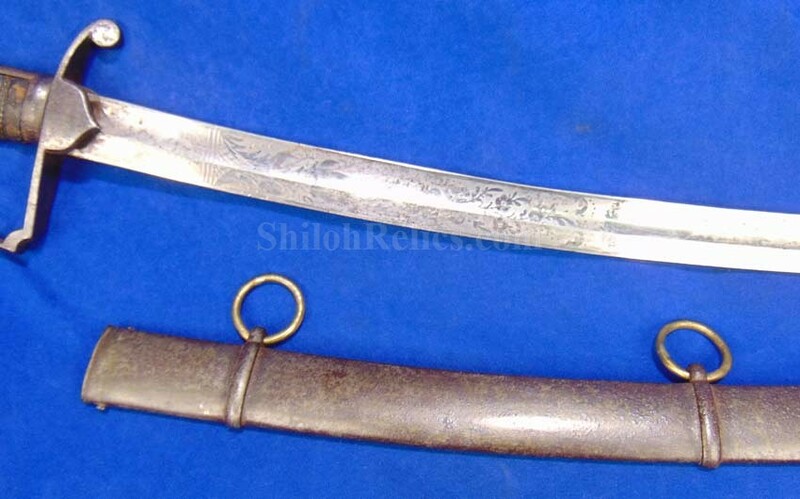 The sword is accompanied by the original metal scabbard. 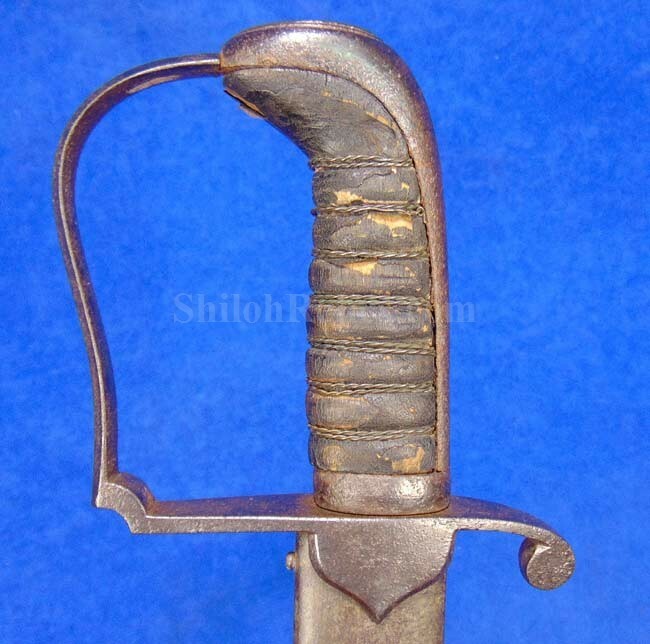 The scabbard has both original mounts intact with replacement brass rings. 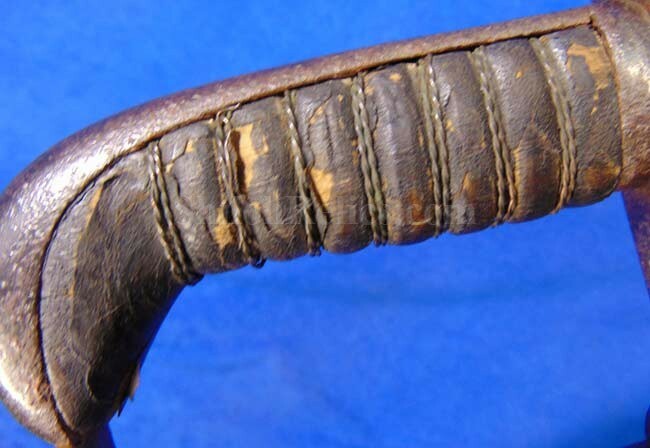 It has the original throat and drag intact as well. 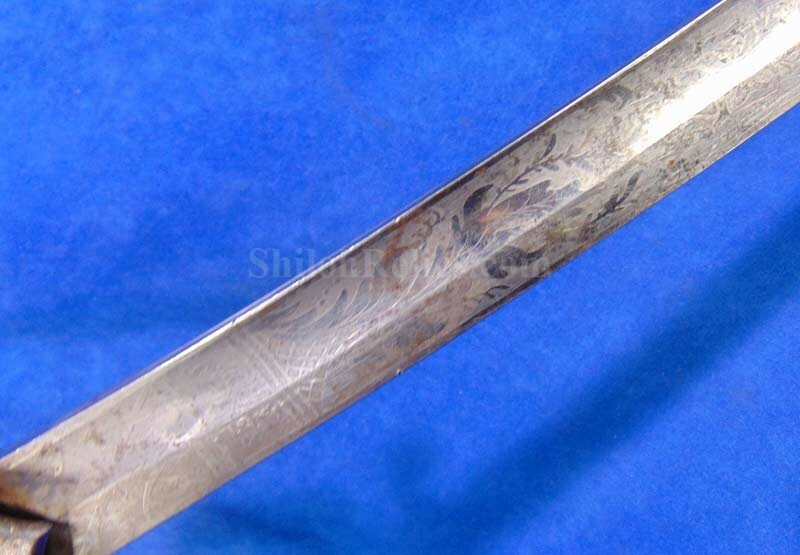 This is a neat looking sword with a beautiful blade.